I actually loved this book very much. It's a great way to get children to see that the environment is very important and that we have friends in the oceans. The illustrations in this book are point on and it's very well written. This would be a good book for your child to read, or for you to read to them until they are able to read. It would make for a great start to explain to your child/children how important the environment is, and that there are people who can and will help. 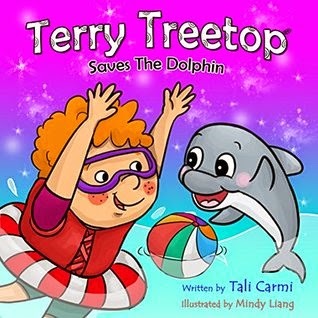 This is the fourth book in the Terry Treetop best sellers series. I cannot wait to get my hands on all of them. kids ages 2- 8. With simple text and 16 colorful illustrations. The story is suitable as a read aloud book for preschoolers or a self-read book for beginner readers. This is a great book and if you have children they will be sure to love this cute story. Thank you to the sponsor.